With Oil Prices Languishing, Shell Reports 80 Percent Drop In Earnings : The Two-Way The company is the latest industry giant to report huge drops in earnings from 2014 to 2015. BP, Exxon and Chevron have also seen their revenues fall steeply. Royal Dutch Shell reported an 80 percent drop in earnings in 2015, but says it will still press ahead with the proposed mega-merger with BG Group plc. On Thursday, Shell released its full year report that showed an 80 percent drop in earnings from 2014 to 2015. The company's earnings fell steeply from $19 billion in 2014 to $3.84 billion in 2015. "We are making substantial changes in the company, reorganising our Upstream, and reducing costs and capital investment, as we refocus Shell, and respond to lower oil prices," CEO of Royal Dutch Shell Ben Van Beurden said in a statement. Part of this restructuring includes moving forward with a plan announced last April to buy the BG Group for about $70 billion in cash and shares. The move was hailed as one of the biggest energy mergers in at least a decade. 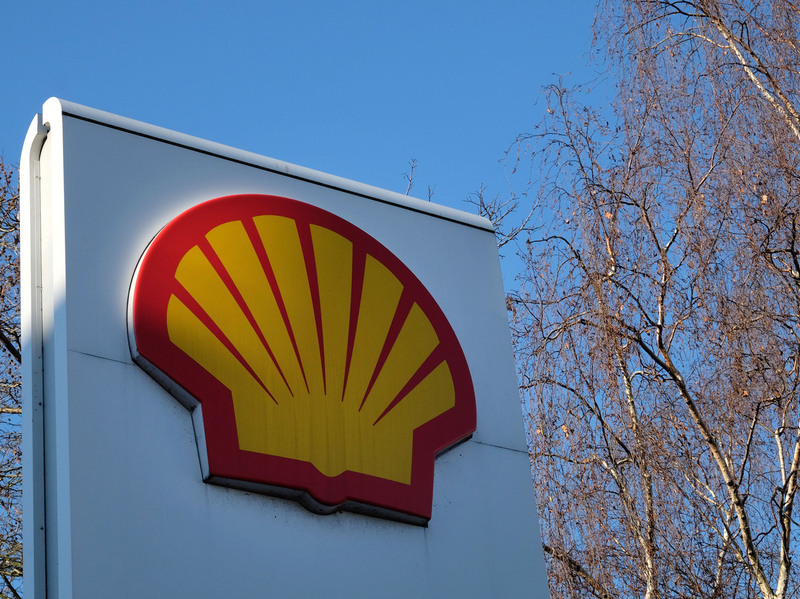 "The completion of the BG transaction, which we are expecting in a matter of weeks, marks the start of a new chapter in Shell, rejuvenating the company, and improving shareholder returns," Van Beurden said. While Shell's shrinking earnings are staggering, the company isn't alone. Slumping oil prices are affecting other industry behemoths like BP, Exxon and Chevron. As the Two-Way reported, BP reported on Tuesday a 91 percent drop in earnings for the fourth quarter of 2015 and a 51 percent drop for the year. Exxon and Chevron, too, saw their yearly earning cut by half. Exxon's earnings fell by 50 percent from $16.2 billion in 2015 compared with $32.5 billion in 2014. Chevron's CEO cited low crude oil prices to explain why the company's revenue dropped from $19.2 billion to $4.6 billion. "Our 2015 earnings were down significantly from the previous year, reflecting a nearly 50 percent year-on-year decline in crude oil prices," said Chairman and CEO John Watson. "He says a slowdown in China and elsewhere around the world is driving down the price of oil along with other commodities such as copper, aluminum and zinc. "So at least part of the reason oil prices have crashed, Bianco says, goes beyond the oil market itself and the boom in production of oil in the U.S. It's part of a larger global slowdown. And some investors are worried that slowdown will hurt the U.S., too. "So far, there isn't a lot of evidence that the U.S. is getting dragged down by all the trouble abroad. Job growth remains pretty solid. The economic recovery is continuing. And some analysts think we might see a bigger boost from cheaper energy later this year."